Zenefits Help Center Commuter Benefits Getting Started with Commuter Benefits in Zenefits How do I view my employees' Commuter Benefits balance in Zenefits? Zenefits makes it easy for admins to manage employees' enrollment and balances. 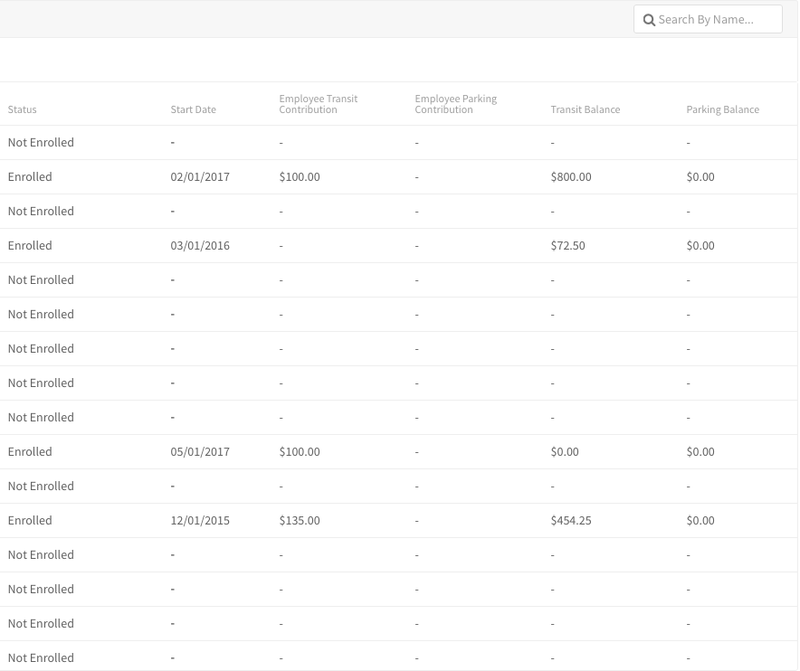 From the Zenefits Commuter Benefits dashboard app, the enrollment & balances tab will display all eligible employees, whether enrolled or not. If the employee is enrolled in Commuter Benefits contribution election will be displayed. Employees’ current balances will also be displayed, and admins are able to download this data into an Excel file. Admins can also filter by status, start date, contribution/election, and balance.